FCET Umunze admission list (1st, 2nd, 3rd, 4th batches) 2018/2019. The Federal College of Education (Technical), Umunze NCE admission lists for the 2018/2019 academic session are out. The management of FCET Umunze released the first, second, third and fourth batches admission lists for NCE candidates. Therefore, candidates can now go online to check their admission status. All candidates can check their names on the FCET Umunze admission list in PDF format below. You can also click on the download link below each file to save the admission list. Admitted? 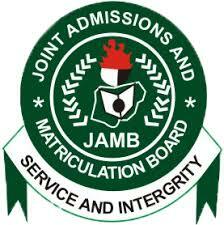 The next thing to do is to visit JAMB CAPS to accept or reject admission offer. ALSO SEE: FCET Umunze Freshers Registration Procedure. We congratulate all candidates whose names are on the NCE admission lists of FCE (Technical) Umunze for the 2018/2019 academic session.